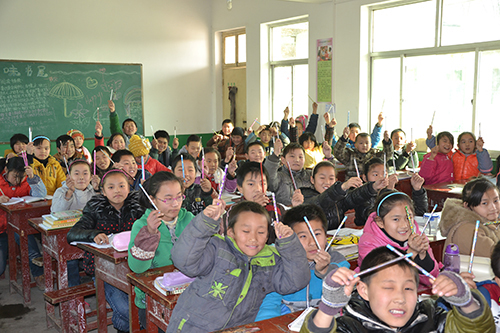 In October 2013, Plan Hong Kong launched the “Because I am a Girl – Donate a Pencil Campaign” with two goals in mind. The first was to provide the most basic tool in education for underprivileged girls living in impoverished areas around the world. The second was to draw public attention to girls’ rights, and the unique challenges girls face around the world. Thanks to generous contributions from people across the city, and the dedication of Plan Hong Kong’s staff, volunteers and Ambassadors, the pencil campaign was a marked success. It kicked off with a star-studded launch event, attended by BIAAG Ambassadors Ms. Cindy Yeung, chairperson of Emperor Watch and Jewellery, Mrs. Christine Liao, renowned arts and ballet educator, and Ms. Lisa Cheng, a popular local athlete. They were joined by Plan Ambassador Mr. Alfred Cheung, a famous film director and ex-beneficiary of the organisation, and Mr. James Murray, CEO of Plan Hong Kong, for the unveiling of a gigantic pencil case, which the public could use to donate pencils for children living in mainland China and Ghana. By the time the campaign ended on 31 October, more than 100,000 pencils had been collected for shipment, just in time for the Christmas holiday season. 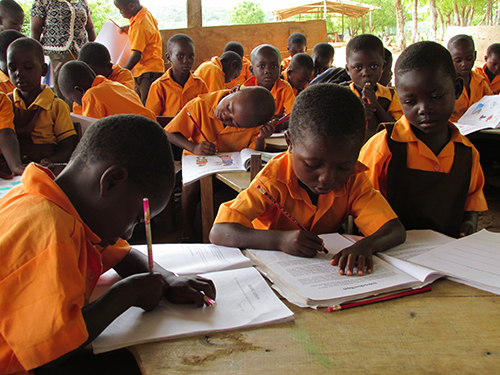 They found their ways to communities like Osubonpanyin in central Ghana, an inland community of 1,850 where children are the majority. 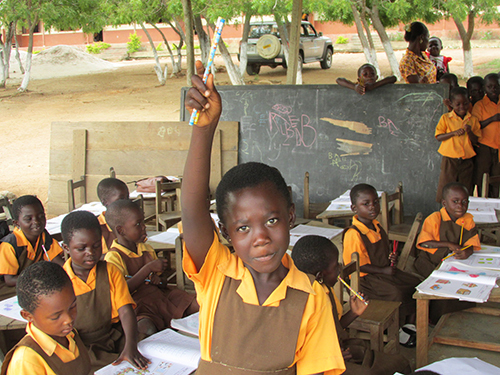 Teacher Owusu Mensah was delighted to receive the pencils for her class. “I am happy because most of my pupils do not have pencils, so it makes writing lessons very difficult for me,” she said. 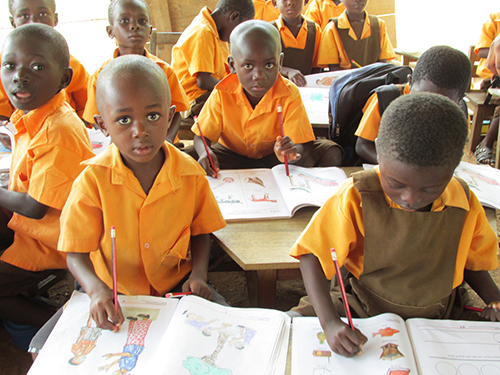 This gift will make teaching and learning easier.” Five-year-old student Michael Mensah agreed. 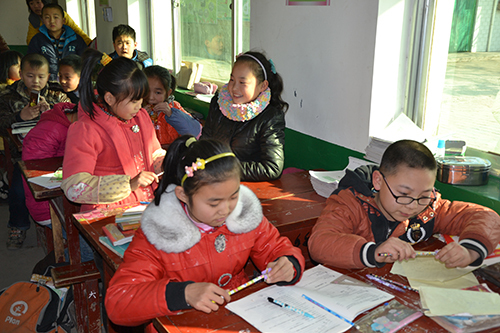 “I am happy to have two pencils, because I did not have any,” he said. The “Because I am a Girl (BIAAG) – Donate a Pencil Campaign” was launched on 11th October, in tandem with the United Nations’ “International Day of the Girl Child (Day of the Girl)”. Day of the Girl was established to increase awareness of gender-based discrimination faced by girls worldwide, which often leads to violence, trafficking and numerous other abuses. The theme for 2013 was “Innovating for Girls’ Education”, making the “Donate a Pencil Campaign” an especially appropriate and worthwhile initiative.